One of my favorite snack foods is edamame. It’s healthy, it fills me up to get me through to the next meal, and even though it’s filling edamame doesn’t weigh me down. 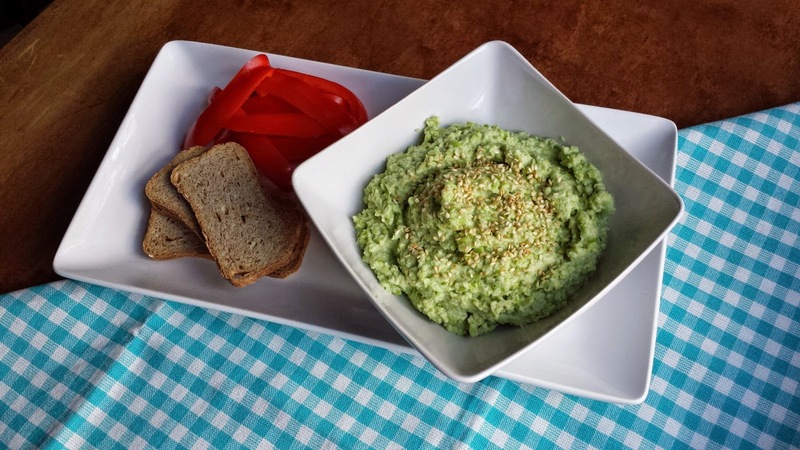 Edamame refers to soy beans that have been harvested while they are green and immature enough to be eaten raw. They are high in protein and fiber, and packed full of vitamins and minerals. Billy and I have been going out for sushi quite often lately, and we always order edamame, so when we were sitting at home and had a craving for a healthy snack, we just couldn’t eat plain edamame…Just couldn’t! So I blitzed it instead! Just to be clear, the edamame got blitzed, I didn’t get blitzed! To quote Eliza Doolittle, “I’m a good girl I am!” And now I will be singing “I could have danced all night” for the rest of the day cuz I can’t get it out of my head…My cats are gonna looove it! Any hoo…By blitzed, I mean that I tossed the beans into a food processor with a few savory seasonings, and blitzed until it was spreadable, even dippable. 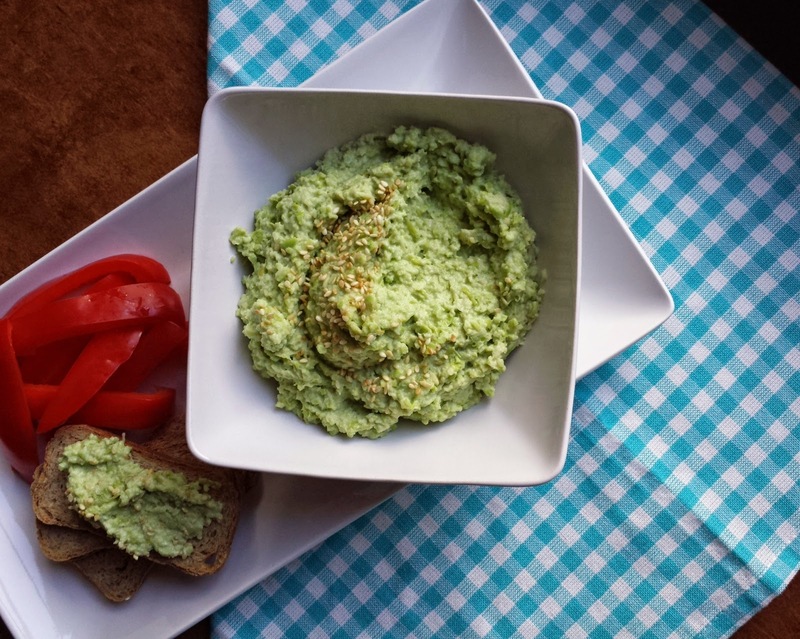 The success of Edamame Hummus is using a light hand in the layering of the seasonings so that the dip is complex yet the delicate flavor of the edamame still shines through, that’s why the oil is flavored with garlic rather than adding garlic straight into the dip. In fact Billy’s words were, “You know why this is soooo good, is that nothing is over powering the edamame, so ya can taste the edamame.” Someone had been watching Master Chef with his wife! And look at this pretty, mint green color! It’s like a touch of spring among all the fall pumpkin that’s going around. 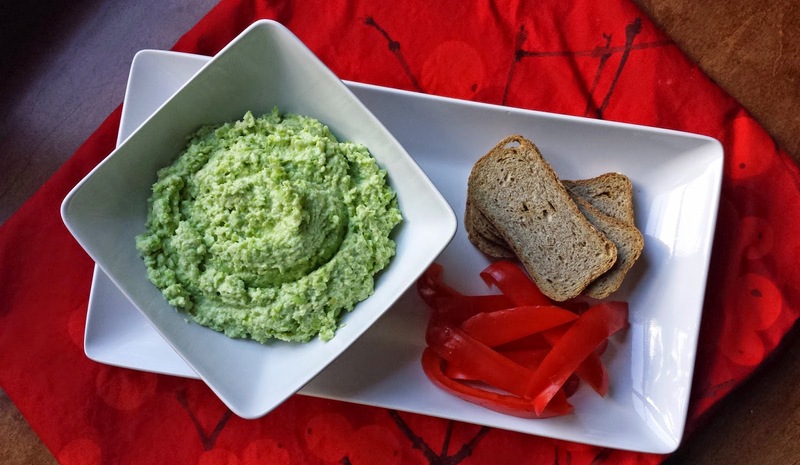 It’s pretty, and it’s tasty, and it’s healthy, Edamame Hummus Dip has got it going on! 1. Add the oil and sliced garlic to a small skillet (which has not been pre-heated), and cook over medium heat, turning the garlic frequently, until the garlic turns golden in color. Remove the pan from the heat and let the oil cool completely. Once the oil has cooled, remove and discard the garlic. 2. Add all of the ingredients, except for the sea salt, to the bowl of a food processor. Pulse until the hummus is your desired consistency. Taste for seasoning and add some sea salt if needed. 3. Eat immediately, or cover and refrigerate until you’re ready to serve. 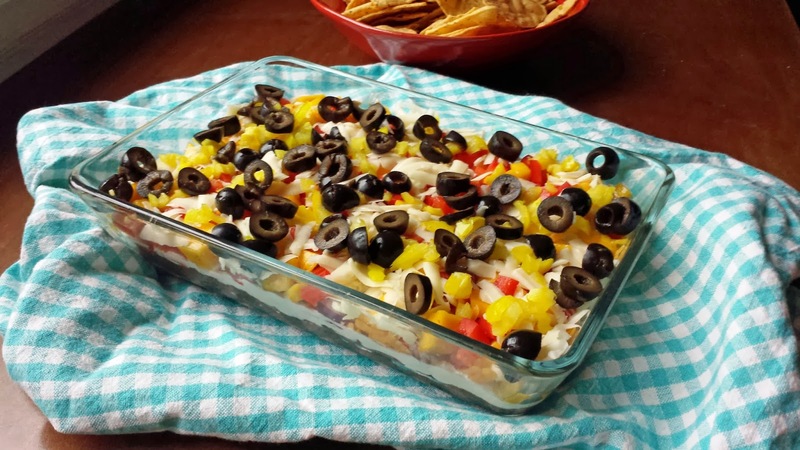 Serve with rice crackers, pita bread, Melba toast, and cut up veggies. It's one of my favourites too! Love that gorgeous green. It was such :) to read your My Fair Lady post. 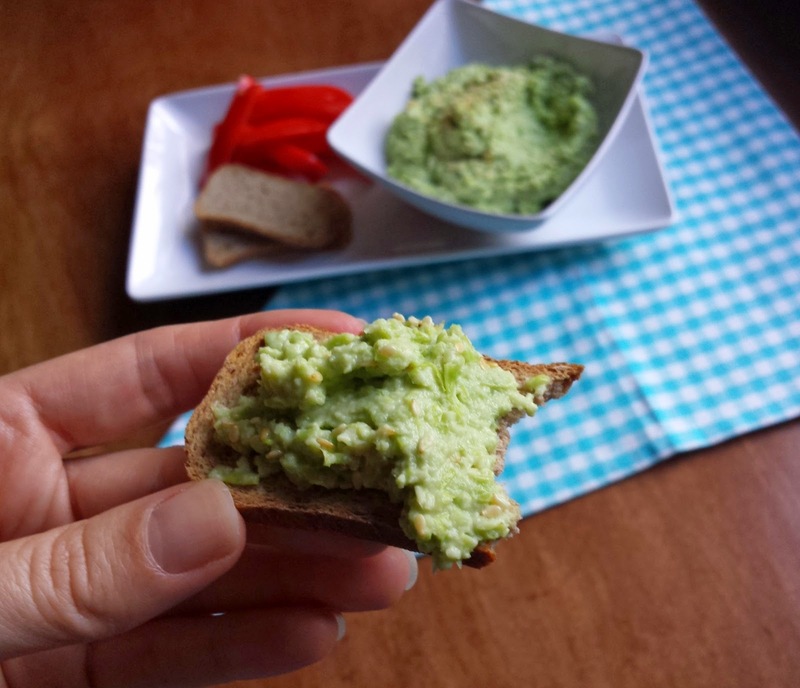 Love that gorgeous green in a healthy, original spread.